WorldAlpha is an MMORTS that gives you control over a single unit, or "citizen," in a virtual world. You will need to keep this unit healthy while advancing him through society, joining a country and choosing a city to live in. 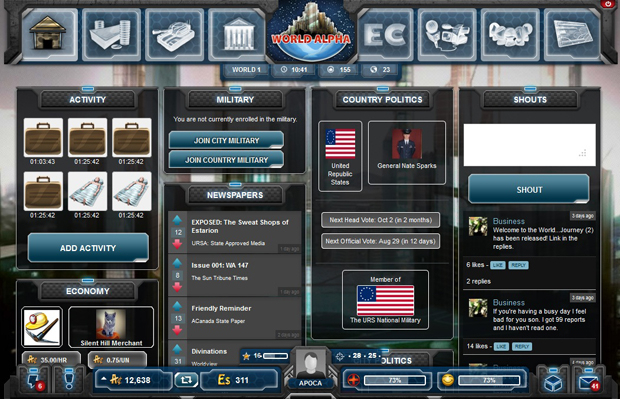 Essentially, you will be living a second life within WorldAlpha where politics and economics play a major role in the game. It's up to you if you want to be a cog in the machine, a savvy businessman, an elite solider, or perhaps even a politician. 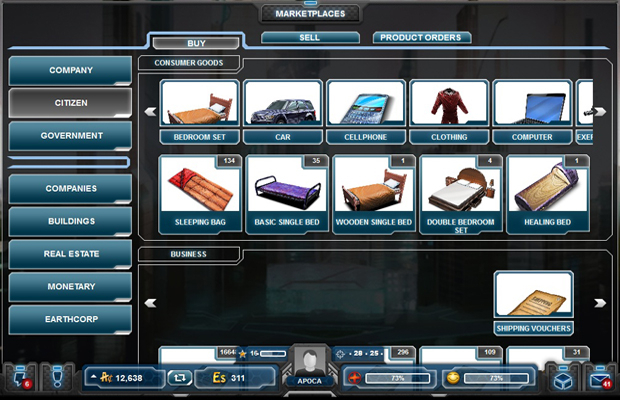 Realistic Economy: Everything comes from something and this couldn't be more true in WorldAlpha. Players are required to build up massive structures or great armies from the beginning utilizing produce and wood. Play Your Way: Nothing locks your playstyle like classes or set paths. Players can live a simple life or form a nation and start a third world war. If you have the manpower and resources, you can make it happen. IRC Chat: All work and no play makes for a dull game. 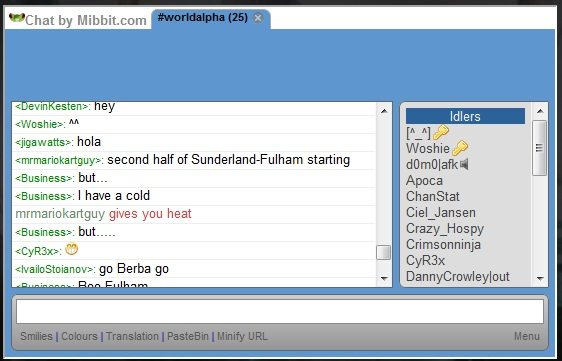 Chat with your friends and rivals in the WorldAlpha chat to plot and plan in real time. Generous Cash Shop: Tired of being locked out of browser game features due to not spending? 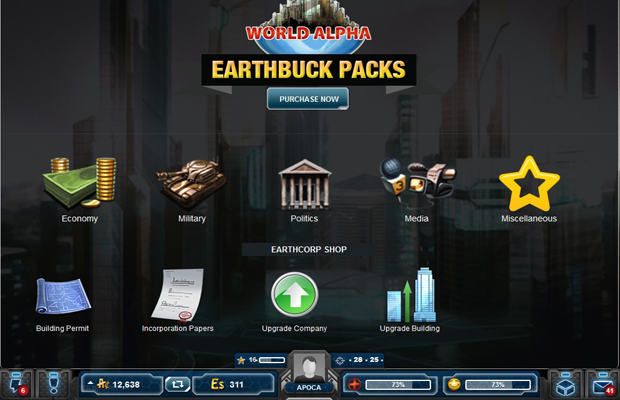 As you level your skills in WorldAlpha, you'll receive cash shop Earth Dollars in the equivalence of the level you've reached in each craft. WorldAlpha designer Michael Koehler explains his vision for an MMORTS within the browser setting. WorldAlpha Review – Simulate a New Life! what a game started playing yesterday and im addicted already. if you want to play an mmo with variety and lots of ways to play this is the one for you. that is my referal link….my ingame name is bellum msg me ill give you starting money and help with anything i can.